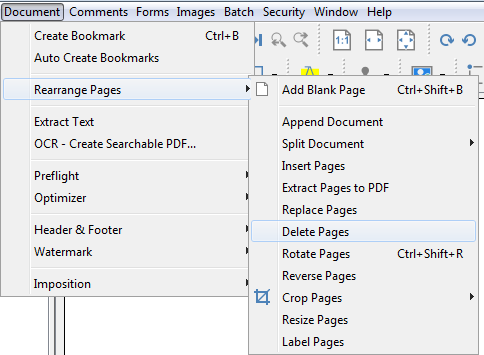 Q: How can I delete pages in PDF Studio? A: PDF Studio can delete pages in a PDF document. This can be done using either through the ribbon or the thumbnail pane. This will display the Page Options dialog which allows users to specify which pages they would would like to delete. Blank Pages: Deletes only blank pages within the document. 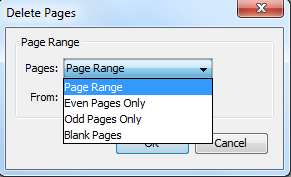 Analyze Pages – Checking this option will analyze each individual page to determine how much of the page is actually blank in comparison to others. Adjust the tolerance settings if needed to improve results. Tolerance – This value increases the tolerance for artifacts on the page. Increase this value if the blank pages contain marks such as scan lines or fold lines to get better results. Use this if you are running an older version of PDF Studio or have enabled the classic menu. 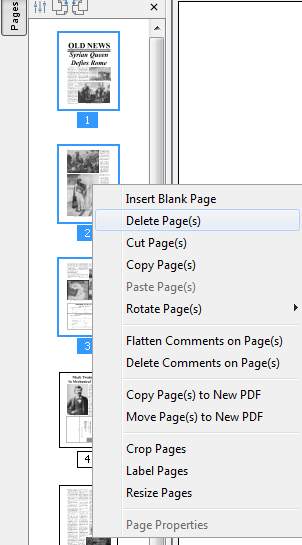 Select Document > Rearrange Pages > Delete Pages from the menu to delete pages from the current document.